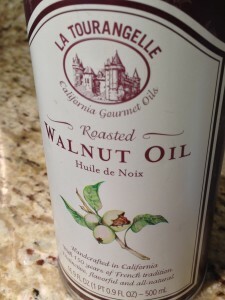 This Roasted Walnut Oil Dressing is a favorite in my kitchen. Use it on green salads or as a lighter non-mayonnaise dressing for potato salads. 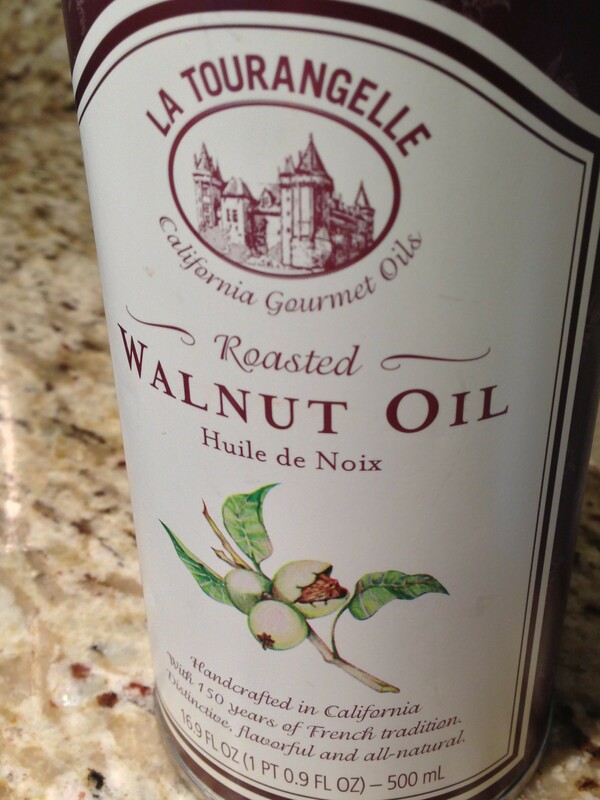 You can also use my Roasted Walnut Oil Dressing as a holiday gift or hostess gift, just reminding the recipient that it needs to be refrigerated and used within a week or so. 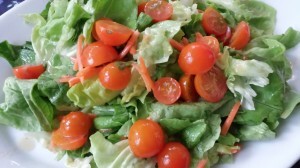 Try my Roasted Walnut Oil Dressing on a light salad of orange cherry tomatoes and Bibb lettuce. 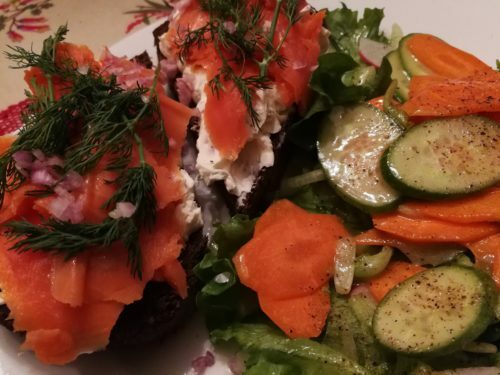 Combine all ingredients in a bowl and whisk or blend until emulsified. 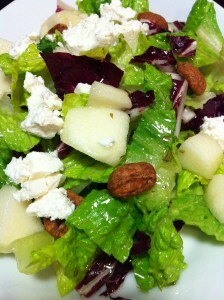 Use this Roasted Walnut Oil Dressing on salads such as my Pretty Pear Salad with Goat Cheese and Cinnamon Pecans. Makes about a cup of dressing. 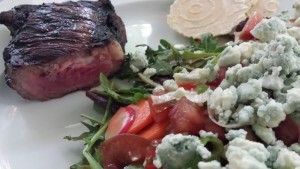 Variations: Can substitute agave syrup for the honey. 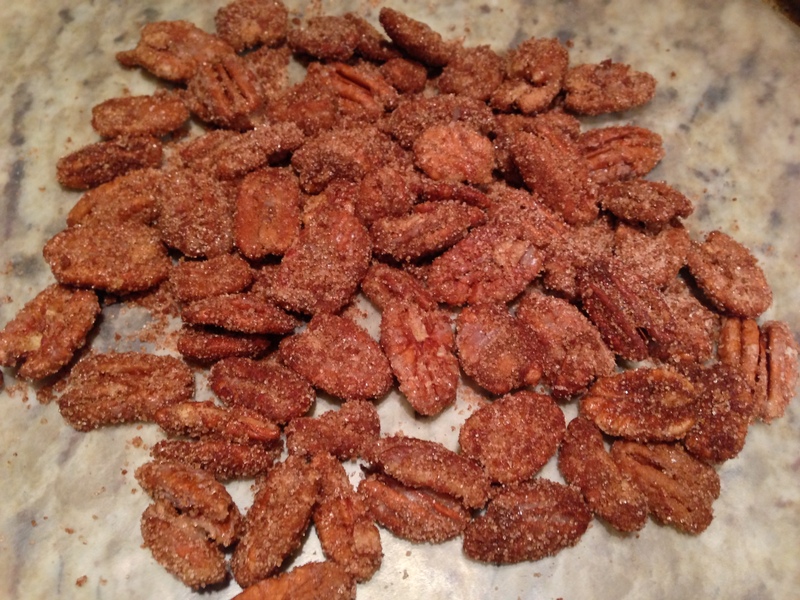 Sprinkle in some chopped roasted walnuts.